If you’re a regular visitor, you won’t be surprised that I read a lot of books about money. I read about having it, saving it, spending it, investing it, how to think about it, how to feel about it…you get my drift. In short, there's SO much to think about that it can leave us feeling overwhelmed. But what if I told you that money is not the currency that worries me most these days? What could possibly concern me, a finance and lifestyle blogger, more than money? The answer is personal currency. At least how we define it today: our social media standing. You might be thinking that if I bring up social media I’m about to go on a privacy tirade but that’s not the case. Don’t get me wrong. I care deeply about privacy and it merits a discussion all on its own…but I think there’s more danger involved in dabbling in social media than privacy alone. Increasingly, our sense of personal worth is tied to our social media ranking. Whether it’s Facebook, LinkedIn, Twitter, Tumblr, Instagram, Flickr, Google+, YouTube, Vine, SlideShare, Vimeo, blogging or commenting platforms or any other current or upcoming social media site, more of us are seeking validation of our personal worth via our online social currency. And what if we feel our standing leaves us wanting? It can make us feel anxious, anxious about where and how we "fit in". Anxious about whether or not we matter. How is our social currency measured? Companies and individuals alike are checking their worth online. While it makes sense for businesses to track their mindshare—an activity they've been participating in for a long time now—the potential impact of this new obsession at the individual level borders on terrifying. Our society rewards the hard worker, even to a fault. You know the one. It's the man or woman who goes out and works hard to make a name for themselves and who puts fun aside to provide for their family by working toward the next promotion or pay raise. If you tie your personal worth to how much money you make or how much you own, at least your personal valuation, though warped, can help you, and your dependents, get a good education, keep a roof over your head and food on your table. Money, after all, is how we all “make a living”. Becoming increasingly distracted by the constant need to check your online currency balance of “likes”, “shares” and “comments”. Significantly increasing your online activity (aka online content creation) to the detriment of other important life activities such as face-to-face socializing, working, studying, dating, enjoying leisure activities, etc. Participating in increasingly risky or extreme behaviour to get attention. 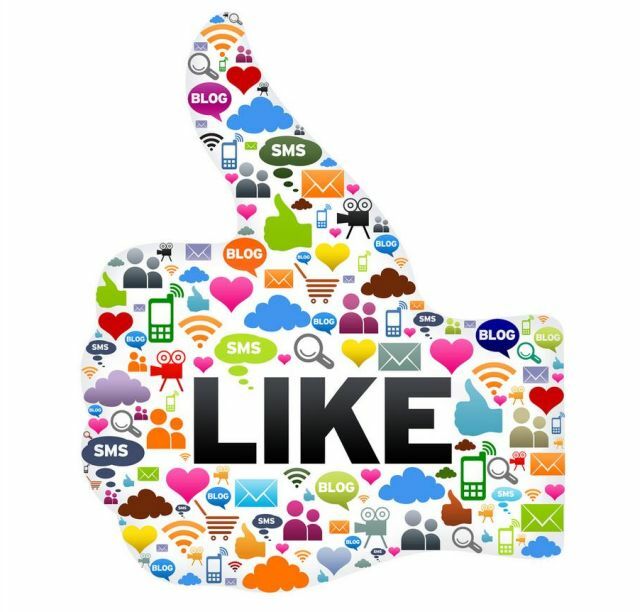 Increasing your investment in time and effort “sharing” or “liking” popular content in order to increase your status "by association” online. Making decisions on how you spend your time based on what others will appreciate as opposed to what will make you happy both in the moment and long term. We all worry about social status to a certain extent. It’s part of the human condition. But this new currency has the potential to be more destructive than money ever has been or likely will be because it further shifts what fuels our sense of self from internal to external drivers. Five reasons why it’s more destructive than money. Our online status is only as good as our continued investment in it and the continued existence of the platform on which it resides. Unlike money, we can’t invest our online status in the stock market and just let it grow on its own. Your online status can’t “work for you”, you work for it. Further, we evolve as individuals and what we care about and the circles we want to participate in change over time and, sometimes, we’ll change in ways our followers find irrelevant, or worse. If we want to maintain our currency, we need to constantly rebuild an audience who cares about what we represent now. We don’t all walk around with our personal net worth stamped on our foreheads* but our likes, shares, replies and comments are. The more we can build ourselves up, the more eyeballs will also be there as we spiral downward…which is almost inevitable. The negative messages we receive from from critical comments online or from a marked loss of followers can be incredibly damaging to the ego because we take them personally and they’re there for everyone to see. This is very different from criticism we may receive one on one, in a small group, or even in a room full of people. One negative comment can hurt so much and be so damaging that the person affected sometimes never recovers. This point significantly influenced both deciding to blog annonymously and in deciding to blog at all. I knew I'd care about what people thought of the content I'd create and share. The potential for harsh criticism can and does affect what we choose to do and put out into the world more than most of us would care to admit. Status is bestowed upon us by—sometimes anonymous—strangers who bear no responsibility for their cursory evaluation of us. The praising, sharing or critiquing of a thought, image, stated preference or other often doesn’t consider how it may affect the recipient or its source. The praise or criticism is more about the one doing it at that very moment but fortunately or unfortunately, the lasting effect is on its target. Case in point: A friend of mine, who is a wonderful, loving person, recently posted an opinion as a reply to a family member’s update on Facebook. Her comment was harshly criticized—she was called an “a**hole”—by someone who the family member had “friended”. This comment affected her so deeply that, within a week, she’d deleted her Facebook account, an account she’d frequently used to stay in touch with those closest to her. That one comment, from someone she didn’t know and who didn’t know her, had the power to lead her to make a significant change in how she connects with others. 4. It affects our real world lives. This short-lived, public and fickle new status builder is creeping into our daily lives. Not only can it increasingly affect how we choose to spend our time but because employers are using their interpretation of our online selves to decide whether we’d be a good fit for their organization. Of course, this evaluation completely ignores the fact that there are many facets of our professional and personal lives and that we can, and do, compartmentalize (for more thoughts on this, you might want to read this post). 5. It makes us work for “free”. Companies are leveraging and redirecting the time we spend seeking to maintain or increase our online status by encouraging us to like/share/tweet their content. And they do this by producing compelling content, making sharing a way to enter contests, win prizes and even build social status as "uber fans" of a given product, service or celebrity. In short, companies have figured out how to get us to do the marketing for them, on mass, and for little to no quantifiable upside. I believe this short list is only the beginning. As this new way of measuring our individual worth evolves, we’d all be well-advised to pay attention to—and actively mitigate—its increasing potential to affect our quality of life and that of those we interact with, both on and offline. First, it’s an excellent read and I highly recommend it. Status, and its associated symbols, are nothing more than a social construct and awareness of this fact is key. Any power we allow it to have over us is entirely under our control. Note: This post contains an affiliate link to amazon.com. Purchases made via this link help support the F2P blog. It doesn't cost you anything and helps cover ongoing expenses associated with maintaining this blog. Thank you for your support.